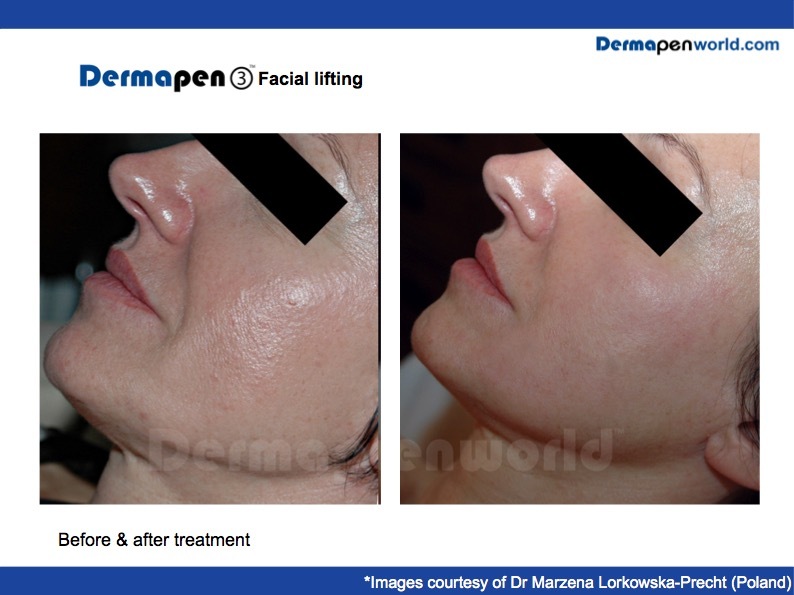 The Dermapen LA Lift was developed by one of Beverly Hills’ leading micro-needling specialists. Based on similar practice to surgical procedures (which uses the scalp to re-position facial features), the entire hairline and head are treated with Dermapen automated needling. As collagen around the structural points for facial lifting and toning is activated, facial features and contours become visibly firmer and tautened. This unique technique treats right through the hair, behind the ears and behind the neck to stimulate upper, mid and lower facial lifting. The LA Lift is performed as part of a Dermapen face procedure and requires no downtime, simply wash your hair the next day. With patients reporting visible results after just 2 sessions, this injection and the scalpel-free anti-ageing solution has become the most innovative way to re-contour sagging and lax facial tissue. Please use the form below to request a booking for our Dermapen LA Face Lift.